Quality fish and a lot of love, our team’s proud to serve our Hawaiian-inspired poke bowls to the Washington D.C. community. As a create-your-own poke restaurant, guests can choose from a large selection of proteins and toppings, creating their own personalized and delicious meals. From black rice and homemade sauces to a variety fresh fish and toppings, our ingredients are plentiful and offer everyone something tasty to indulge in for lunch or dinner. Share your photos on instagram & tag #PokePapaBowls for a chance to win. 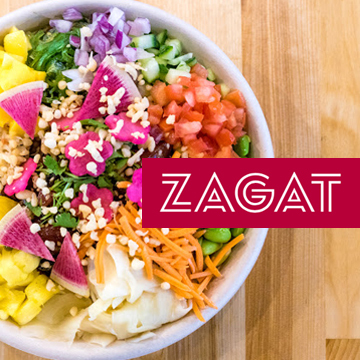 Named one of “The Best Poke Spots Around the U.S.” by Zagat! Check-in on Facebook or Yelp and receive a free miso soup or mochi.